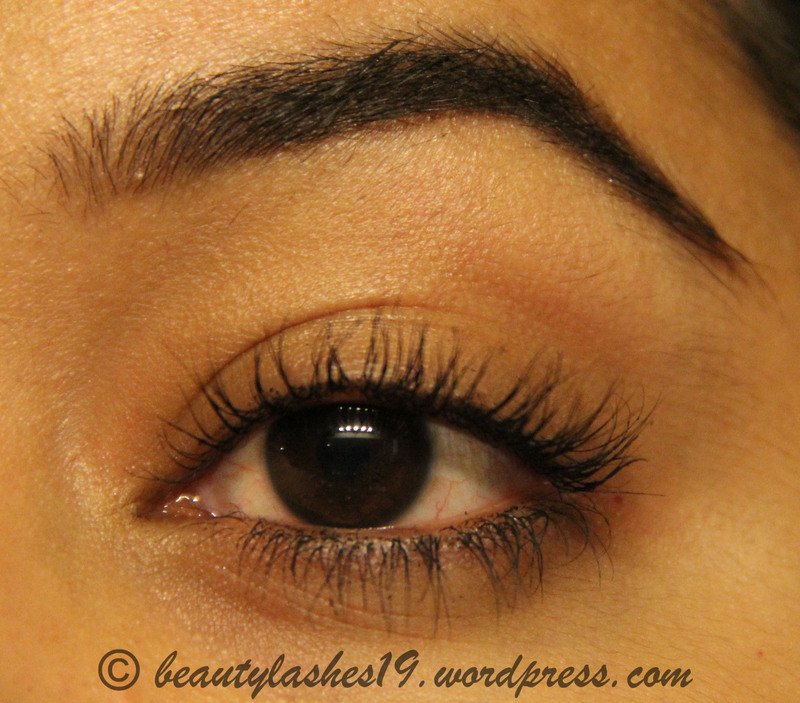 Here are my thoughts on another drugstore mascara.. the Maybelline Falsies mascara! I have it in the shade 285 Black drama.. 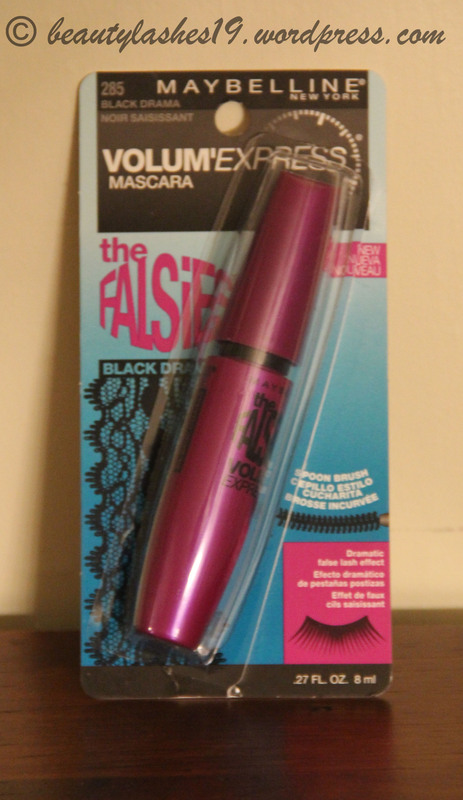 The mascara is also available in waterproof formula.. Costs around $8 at your local drugstores but there are coupons frequently in the local newspaper for Maybelline products… I usually use them and get a better deal (atleast $1-2 off).. 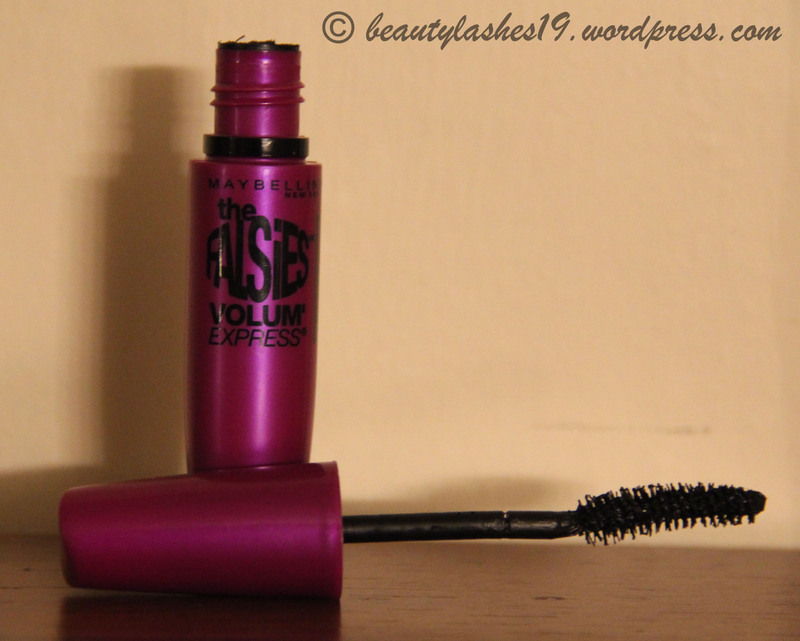 The brush/wand is curved with a lot of bristles on it.. Maybelline calls it the ‘spoon brush’.. It is supposed to fan out lashes from corner-to-corner, while the Pro-Keratin formula is supposed to instantly build volume without clumping.. 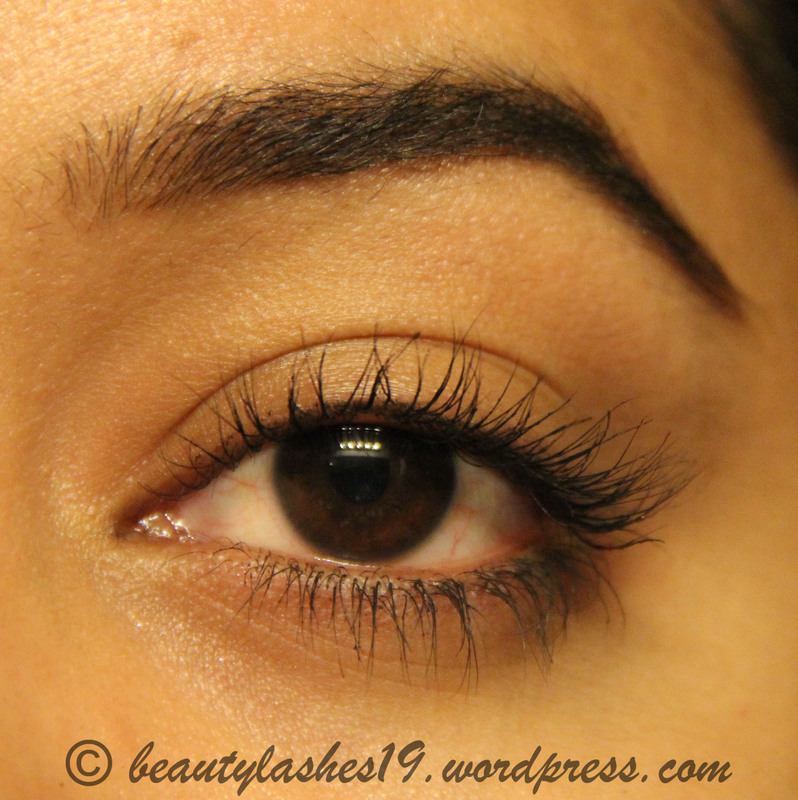 The formula seems to have tiny fibres that coat your lashes.. 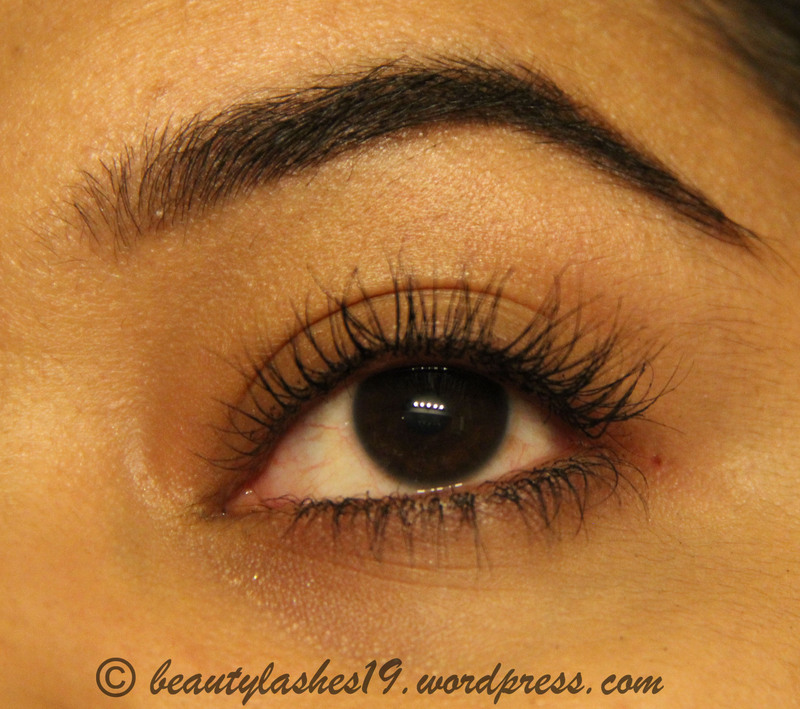 I do notice clumping upon initial application but that can be taken care of with a lash comb.. 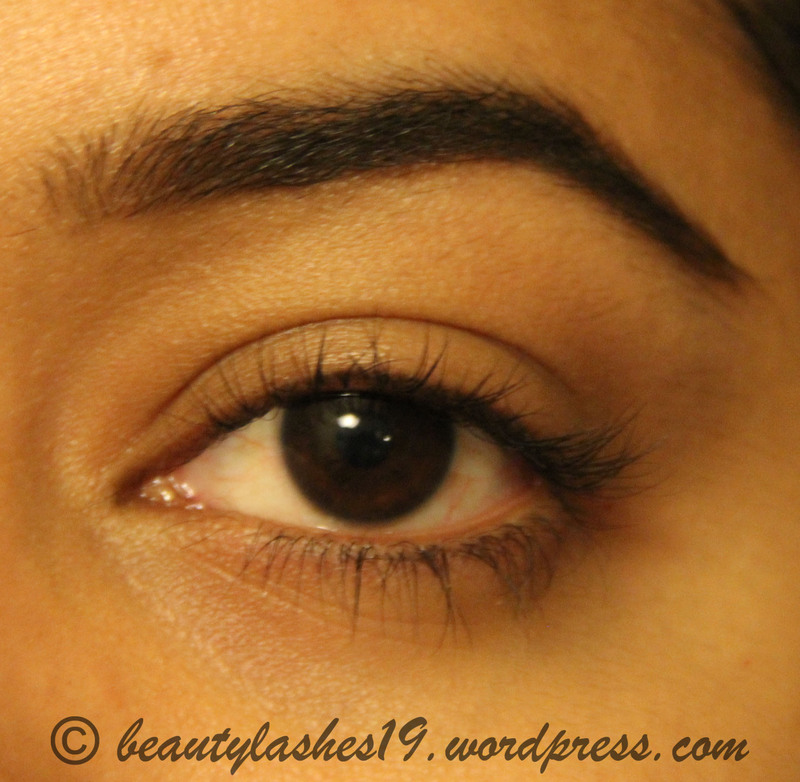 But do bear in mind that it does take some time if you want the natural look.. It’s not something you can apply and be done with.. You have to work with the formula..
You can notice that although the mascara has really given me a lot of volume, I do notice clumps and some mascara on my eyelids.. These pics were taken after the lash groomer went through them twice.. But trust me – the lashes were a lot more clumpier than seen in these pics.. This is the end result after just one coat.. and this is where l personally like to keep it.. unless I am going for a Halloween party.. lol.. 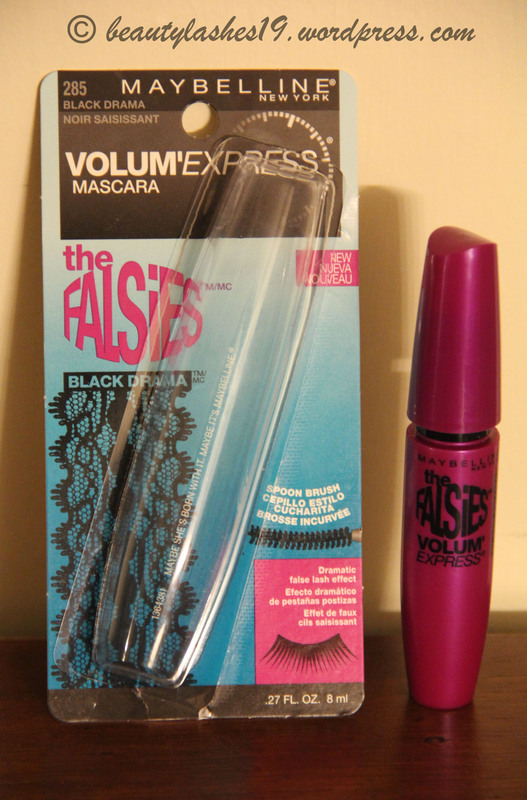 I really enjoy this mascara as it stands up to its claim of being volumizing.. 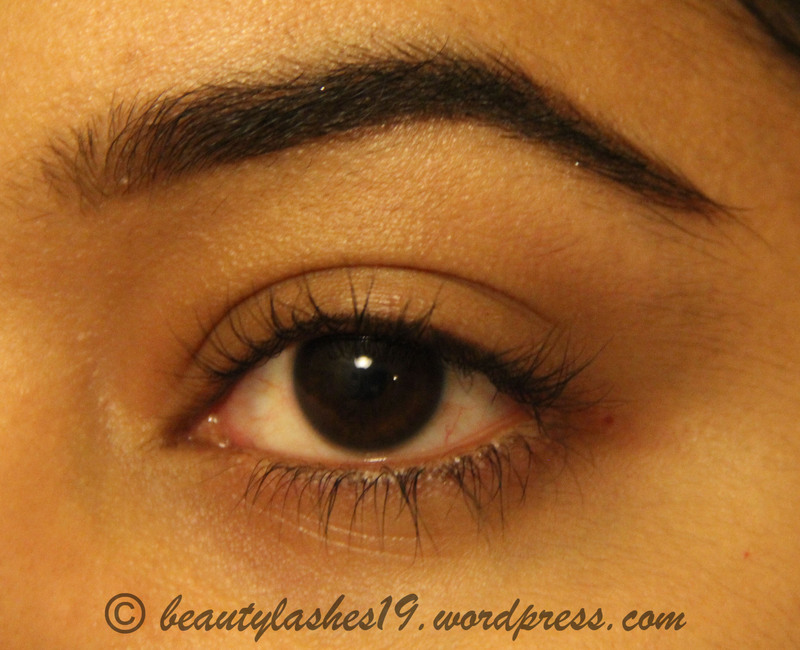 I am sure you can build more than one coat to your desired effect.. it is a great drugstore mascara for volume – impressive when you see the before and the final after pics…. 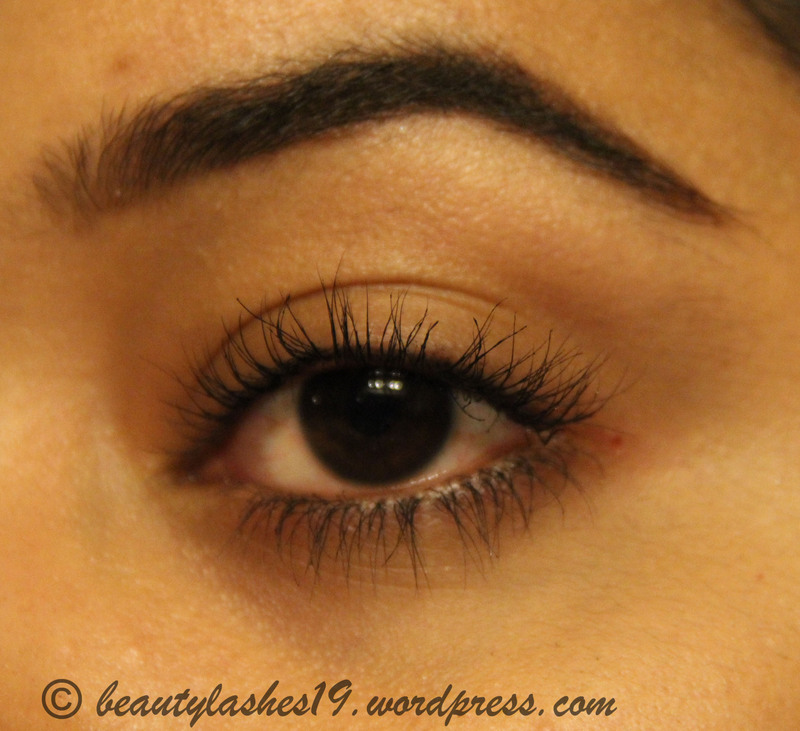 I also noticed that somehow the mascara also held my lashes up.. without a lash curler! This instantly added more volume.. 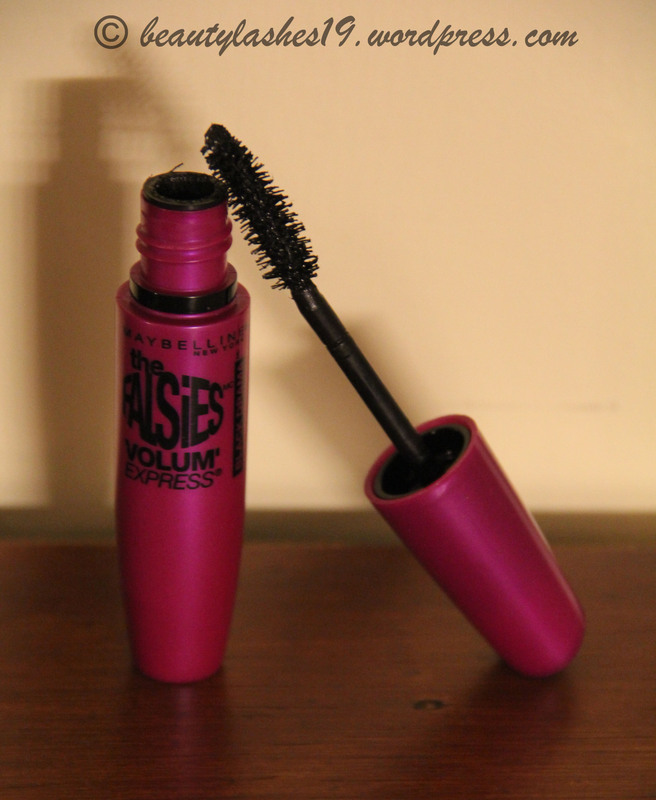 Highly recommend this mascara..
P.S. 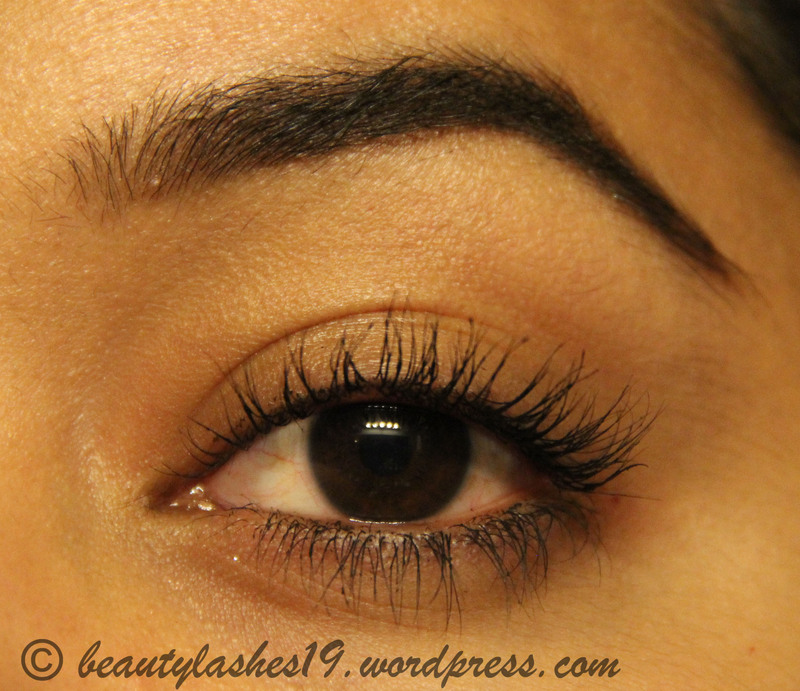 You definitely need a lash groomer/comb to sort out the clumps.. unless you are going for that kinda look..